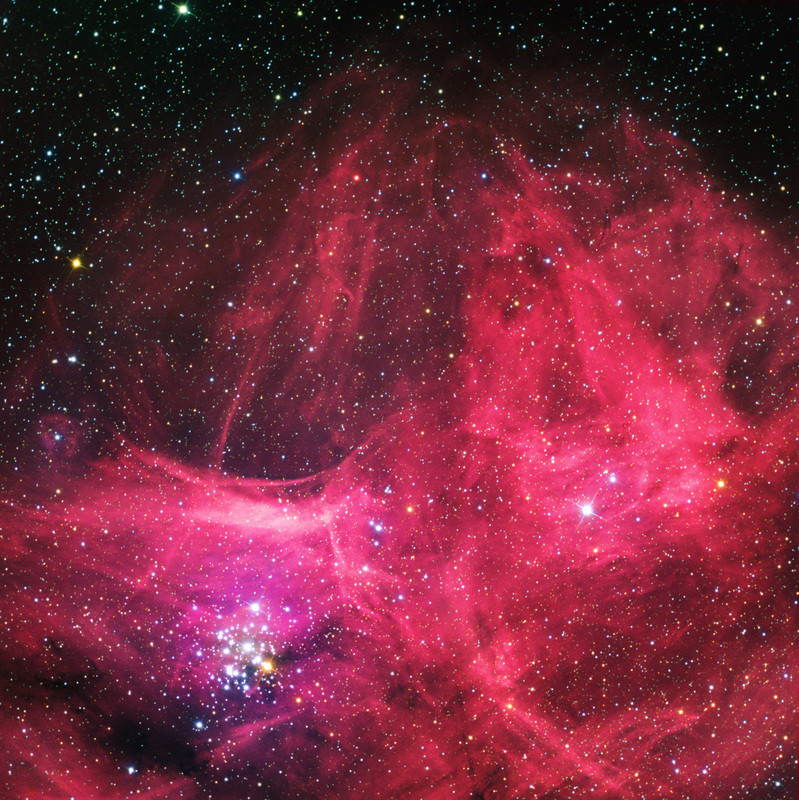 The Gem Cluster, NGC 3293, is an open star cluster containing more than 50 stars within the OB1 association in Carina. The mag 6.5 red giant is clearly shown in the image above, along with the many very hot, spectral type B0 stars that comprise most of the cluster. It is estimated to be very young at 10 million years and is 8,400 light years distant. It was discovered by Abbe Lacaille in 1751 in S. Africa. There are many close-up images of NGC3293. I was intrigued by the location of this brilliant open star cluster within the surrounding nebulosity, which emits strongy in H-alpha and has considerable structure. Thus, I was interested in bringing out the star cluster, its adjacent reflection component and the gradation into the larger surrounding H-a structure. 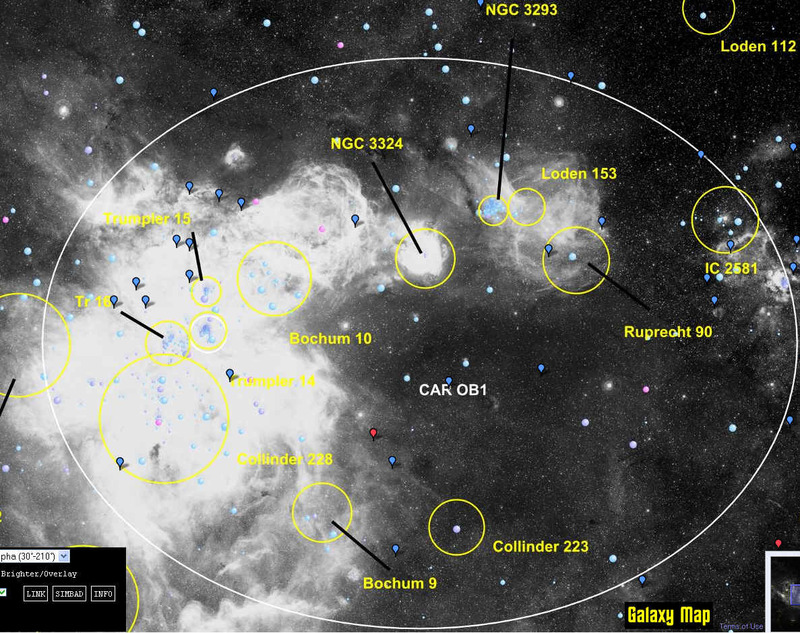 You can see this and the larger scale nebulosity from the Galaxy Map image below.